FULL INDEX OF 4632 INDIVIDUALS - with dates, articles, images, etc. 1. Admiral George MURRAY 6th Lord Elibank, son of Alexander MURRAY 4th Lord Elibank (1677-1735) and Elizabeth STIRLING (bef1683-1756), was born on 14 May 1706 in Aberlady. He was an Admiral in the Navy. He had the title 'Admiral, 6th Lord Elibank'. He married Isabella MCKENZIE on 8 January 1760. He died on [Julian] 12 November 1785 in Ballencrieff. George had a distinguished career in the Royal Navy serving under Admiral Anson, whom he accompanied in part of his famous voyage around the world, although some controversy surrounded the fact of Murray's separation from Anson's fleet in very difficult and dangerous circumstances in waters around Cape Horn, although Murray's position has been fully explained and his conduct completely exonerated by the Hon. Arthur C. Murray in his book "An Episode in the Spanish War". Geroge Murray commanded various ships including HMS Tryal,Wager,Pearl, Hampshire,and Revenge. He left the navy in 1756 and suceeded his brother Patrick as 6th Lord Elibank in 1788. In May 1794, after war was again declared in 1793 between Britain and France, more British naval vessels were needed in the western Atlantic to deter French privateers. Rear Admiral George Murray sailed from Plymouth, England, with a Royal Navy squadron. It reinforced the few frigates based at Halifax under Commodore Rupert George. Cruising that summer off the Chesapeake Bay and the Carolinas in search of French vessels, Murray needed a base for his patrols during the winter. Lieutenant Thomas Hurd RN, A marine surveyor, had charted the waters of Canada's Atlantic and Gulf of St. Lawrence. He was sent to Bermuda, to sound existing channels through the reefs and find new ones prior to the building of a British naval base in Bermuda. He began his surveys in the late 1780s and completed them in 1792. In early October that year, on his flagship HMS Resolution off the American coast, Murray was told of Lieutenant Hurd's surveys and findings in Bermuda and dispatched the 32 gun frigate Cleopatra, under Captain Penrose, to Bermuda to bring back a report and charts from Hurd. What they revealed impressed Murray so much that he called at Bermuda himself before his return to Halifax in the spring. Murray sent Penrose and the Cleopatra back to Bermuda in February, 1795, to pick up French prize crews, during which time Penrose made his own glowing report of the facilities Bermuda could offer. Murray ordered Penrose to rendezvous with him at Bermuda in May, 1795 and was so further impressed with what he saw personally, as well as in the reports of Captains Penrose and Pender (of HMS Resolution) and Lieutenant Hurd, that he enclosed them with his own report to the Admiralty dated May 27, 1795. 2. Alexander MURRAY 4th Lord Elibank, son of Sir Patrick 3rd MURRAY 3rd Lord Elibank and Anna BURNET, was born on 9 March 1677. He was a 4th Lord Elibank. He had the title '4th Lord Elibank'. He married Elizabeth STIRLING in February 1698. He died on 6 February 1735. 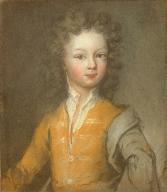 Sir Alexander became 4th Lord Elibank on his father's death in 1686, when he was nine years old. He had 15 children of whom 5 sons and 5 daughters survived him. As a matter of interest, the Lord of Elibank voted for the Union of the Scottish and English Parliaments in Edinburgh in 1706-1707. He also recieved ?0 for doing so. This information was stated by The Earl of Glasgow, on oath, and by David Nairne, Secretary Deputy of Scotland. What a price for Scotland's freedom! Alexander and his family had many financial problems, and the depletion of the family fortunes to the Stuart coffers was further exacerbated by the Fourth Earl losing heavily in the South Sea Bubble. He wrote to his wife about this - "I am infinitely vexed that you should torment yourself so much, which I assure you is more galling to me than any misfortune that has yet befallen me. As I shall answer God I have never bought a farthing's worth of stock but that third subscription, nor you may depend upon it will I venture a groat more that way, for now the South Sea has fallen to its primitive 110 this day (it stood at 1,000 a few days previously) so that it seems now past all recovery; what parliament will be able to do with it I cannot tell". 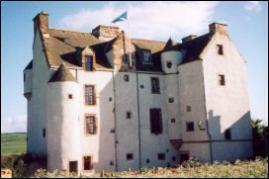 At the time, the Scottish Nobility was also in a generally impoverished state, and so Elibank's situation was not by any means unique. Alexander devoted much of his life to the (succesful) reform of agriculture in Scotland, and was a founder of the "Society of Improvers in the knowledge fo Agriculture in Scotland". 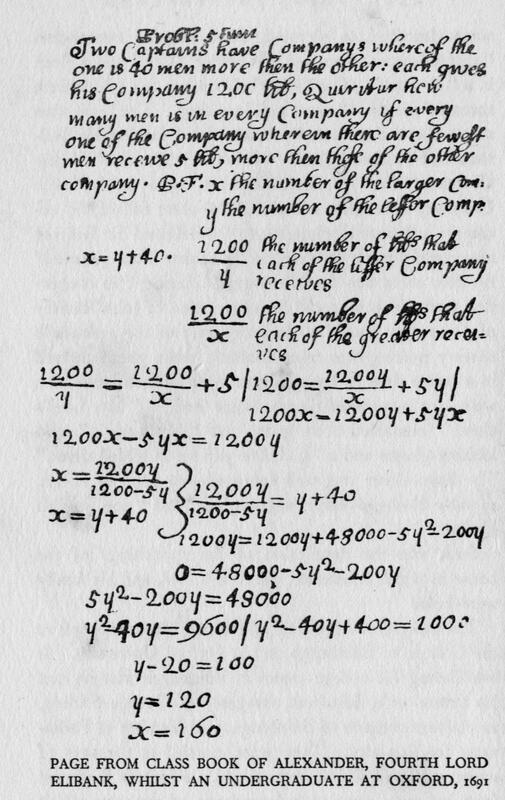 Alexander was clearly loved and respected by both friends and family, and his son Patrick wrote of him: "My father, Alexander, Lord Elibank, died of what the Phisicians called the gout in his stomach on the 6th of February, 1736, The following character was given him in the common newspapers - "He lived esteemed and beloved by men of all ranks and parties and his death is universally lamented. No man ever surpassed himin the practice of every social virtue, he was a fond Husband, and indulgent Parent, and an unalterable friend, and as he never had an enemy he never was accused or suspected of anyone. Never was there a juster character"". 3. 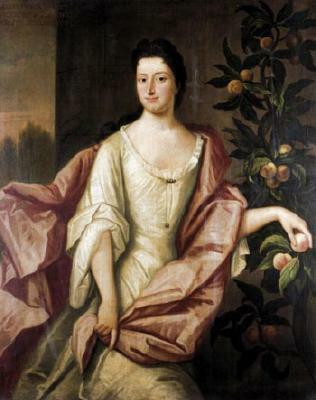 Elizabeth STIRLING, daughter of George STIRLING, was born before 1683. She appeared in the census. She celebrated her Bar Mitzvah. She died on 11 November 1756. Elizabeth, who married at 16, displayed form her early teens an independence of character which not infrequently led her into eccentricities, and hse handed on to her sons the traits she herslef possessed of vivacity and original wit in thoought, speech and action. In his "Scotland and Scotsmen" Ramsey tells us an intertesing and amusing anecdote. A somewhat rash Edinburgh minister when conducting "public examinations" referred to Miss Elizabeth as "Betty Stirling". This caused deep offence to the dignity of the young lady: "Mistress Betty" or "Miss Betty", she said in tones of scathing rebuke, was the style of address to which she was accustomed, but certainly not "bare Betty". Needless to say, after this incident, she was always known in Edinburgh and district as "bare Betty". When a man, who was deeply in love with her, told her that he was ready to lay down his life for her sake, "Oh," she said, "I do not believe you would part with a little joint of your little finger for my whole body." Next day the gentleman returned, and presented her triumphantly with the joint of one of his little fingers. But he was dumbfounded when she gave him a peremptory refusal, "for," said she, "the man who has no mercy on his own flesh will certainly not spare mine." But despite this mercurial turn "bare Betty had a tender side to her character, and was much beloved by all her family. Patrick MURRAY (1703-1778). Patrick was born on 27 February 1703. He had the title '5th Lord Elibank, Earl of Westminster'. He married Margaretta Maria DE JONGE in 1735. He died on 3 August 1778 in Ballencrieff Castle in Haddingtonshire near Edinburgh..
Alexander MURRAY (1704-1705). Alexander was born on 23 July 1704. He died in 1705. 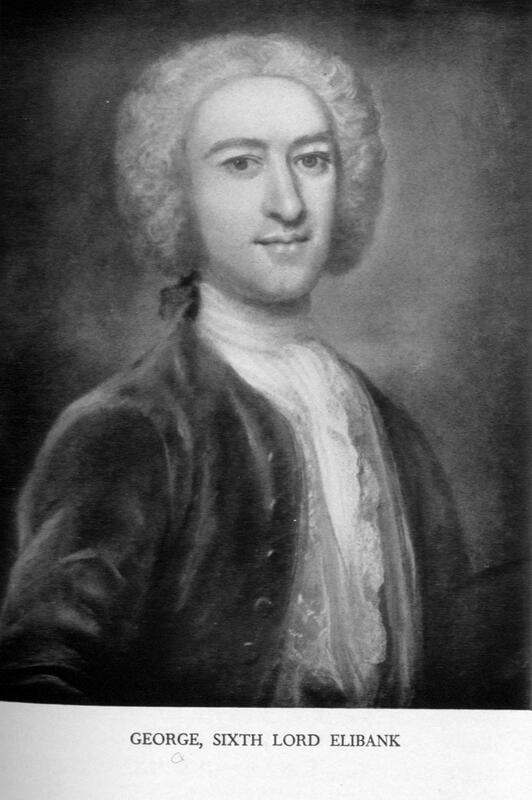 Gideon MURRAY (1710-1776). Gideon was born on 5 February 1710 in Ballencrieff. He was a Priest. He married Elizabeth MONTOLIEU DE ST. HYPPOLITE on [Julian] 30 June 1746 in London. He died on [Julian] 21 June 1776 in Wandsworth. John MURRAY (1711-1711). John was born on 14 September 1711. He died on 31 December 1711. Alexander MURRAY (1712-1778). Alexander was born on 9 December 1712 in Ballencrieff. He was christened on 9 December 1712 in Aberlady. He was a Politician. He had the title 'Jacobite Earl of Westminster'. He died on 27 February 1778 in Taplow, Bucks. James Patrick 1 MURRAY (1721-1794). James was born on [Julian] 21 January 1721 in Ballencrieff. He was a Governor General of Canada, General in the Army, Governor of Minorca, Governor of Hull, Warden of the Cinque Ports. He married Cordelia COLLIER in 1748 in London. He married Ann WHITHAM on 14 March 1780 in Minorca. He died on 18 June 1794 in Beauport, Hastings, Sussex. Barbara MURRAY ( -1773). Barbara married James JOHNSTONE on 1 September 1719. She died on 15 March 1773. Elizabeth MURRAY (1701-1748). Elizabeth was born on 26 August 1701. She was baptised on 27 August 1701. She died on 19 March 1748 in Edinburgh. Anne MURRAY (1708-1793). Anne was born on 20 September 1708. She married James FERGUSON on 3 February 1733 in Aberlady. She died on 2 January 1793. 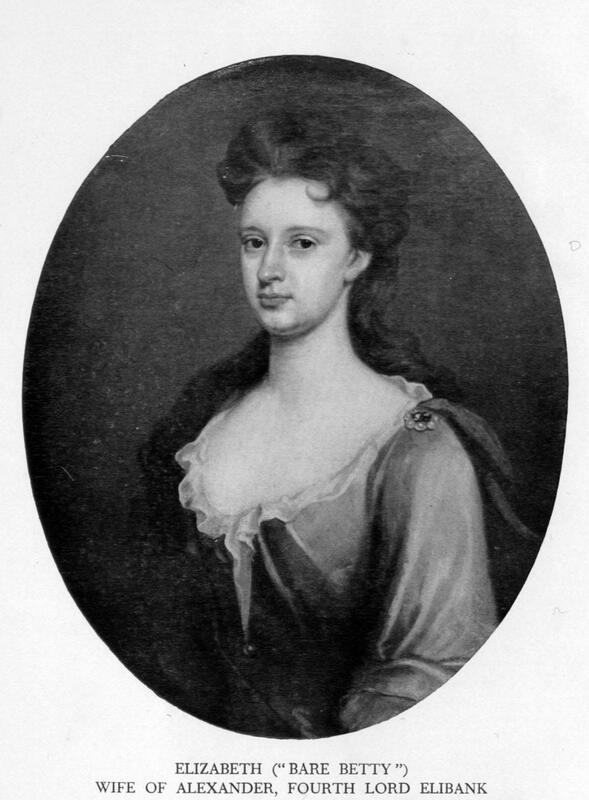 Mary MURRAY (1714-1772). Mary was born on 4 September 1714. She was baptised on 5 September 1714. She died on 18 June 1772. Helen MURRAY (1716-1809). Helen was born on 19 January 1716. She was baptised on 24 January 1716. She married John (James) STEWART on 12 September 1761 in Edinburgh. She died on 28 December 1809 in Ormistoun. Janet MURRAY (1723- ). Janet was born on 13 July 1723. She was baptised on 19 July 1723. She married Robert MURRAY on 22 June 1750. 4. Sir Patrick 3rd MURRAY 3rd Lord Elibank, son of Sir Patrick 2nd MURRAY 2nd Lord Elibank and Lady Elizabeth STEWART, was born before 1661. He had the title 'Master of Elibank, 3rd Lord Elibank'. He married Anna BURNET on 20 August 1674. He died in 1687. "His Lordship who commanded the Militia Troop of Roxburg and Selkirk, was sworn to the Privy Council to King James VII, but was removed from it for his opposition to repeal the Penal Laws in 1687. he died in the same year: was this a result of his opposition to the King?". 5. 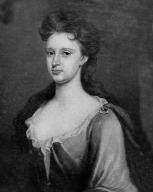 Anna BURNET, daughter of Archbishop Alexander BURNET and Elizabeth FLEMING, married Alexander ELPHINSTONE on [Julian] 10 September 1667. Anna MURRAY (1679- ). Anna was born on 23 August 1679. Mary MURRAY (1681- ). Mary was born on 28 August 1681. She married John UNK on 25 April 1701. Helen MURRAY (1683- ). Helen was born on 27 February 1683. She married John MACKENZIE on 13 August 1703. 6. George STIRLING, son of unk STIRLING, was a Surgeon; Member of Parliament. He appeared in the census. .... they would not altogether dispense with that fatal preparation. Having ascended the scaffold, he delivered with a calm and serene countenance an impressive address to those around him; justified all for which he was about to suffer, and recommended all who heard him to adhere firmly to the covenant. After hanging for some time, his head was struck off and placed on the Netherbow Port, where it remained for seven and twenty years, when it was taken down and buried by a Mr Alexander Hamilton at the hazard of his own life. The body, after being beheaded, was carried to the Old Kirk, where it was dressed by a number of ladies who waited its arrival for that purpose; many of whom, besides, dipped their napkins in his blood, that they might preserve them as memorials of so admired a martyr. While these gentlewomen were in the act of discharging this pious duty, a young gentleman suddenly appeared amongst them, and without any explanation, proceeded to pour out a bottle of rich perfume on the dead body. "God bless you, sir, for this labour of love," said one of the ladies, and then without uttering a word, this singular visitor departed. He was, however, afterwards discovered to be a surgeon in Edinburgh named George Stirling. [Date of Utrecht MD in Leyden volume is 1690]; Thesis `de scorbuto'; MA Edin 1690; Probably the Edinburgh surgeon who became physician FRCP Edin. George Stirling MD of Haddington; Died before 1731; Edinburgh Testaments 1712; [Not inscribed]. 543/292-3; 546/172-3; 860; 882/05&13. Leyden.